Examples of attempted Fraud in On-Line Banking Accounts. There is a growing concern that the amount of fraud in respect of electronic banking accounts is increasing. Also, the criminals are getting smarter all the time. In this article, I will provide some recent examples of this type of attempted fraud. Most days, I receive e-mails from various financial organisations. Some of them, whom I have no accounts with. These e-mails inform me that there are funds that have been received for me. Other e-mails informed me that there is something wrong with my account and invite me to open their attachment. Listed below are some I have recently received with the heading of each e-mail mentioned. and you will be credited upon authorization. access temporarily as our system discovered an unusual conflict between your user pin and card number. Download below enclosed to initiate the restore process. will get an automated response. to be posted to your account. A friend, who I used to work with, receive an e-mail, which appeared to be genuine. She opened the annexure and had to complete certain information. She realised that she had provided them with certain of her confidential information. Fortunately, she contacted her bank. I am pleased to report that no funds were fraudulently taken from her banking account. Two other friends have advised me that they have received phone calls. The caller advised them that someone had fraudulently gained access to their banking account. The caller requested certain information from them. In both cases, the person who phoned them knew exactly how banks operated and sounded genuine. They then realised that they had provided the caller with confidential information. This could result in them being they able to access their respective accounts. Fortunately, both of them phoned their respective banks. With their bank’s great assistance, they were able to stop their accounts and no loss was suffered. But if there was any delay in phoning their banks, there could have been a substantial loss. On the evening of Thursday 27 December 2019, I received a phone call on my cell phone about 18H45. The person who phoned me informed me that he was from FNB Fraud Department. There was a suspect fraud transaction on my Discovery Credit Card account for R10,000 by Citiq Meter Solutions I was shocked when I received this information. I told the caller that it was definitely a transaction that I had not initiated. He knew all my details of my account He asked me to tell him the last few transactions that I had undertaken. Early in the conversation, he said to me that FNB fraud had sent me an SMS confirming that they had opened a case. I checked my phone and saw the undermentioned message. FNB anti-fraud 3D secure authentication REF; AR504089BN STATUS PENDING. When I provided him with the details of the last transactions, he seemed to know about them. At one stage I got a bit suspicious as he was asking me lots of questions. He confirmed that he worked for FNB and he even provided me with his personnel number. The gentleman from Discovery Card advised me that my account had not been stopped. Also, there was nothing on record that a new credit card had been ordered for me. 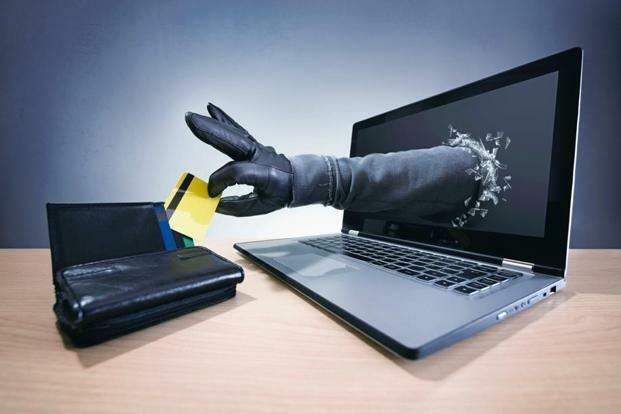 I have gone into a lot of detail, to warn you, our readers, that you must be very careful if you receive a telephone call advising that your credit card had been compromised. I suggest that if you receive a similar telephone call, phone your bank and confirm that the caller is genuine. For your information, there were over 50 irregular transactions on my credit card account. FNB kindly reversed all these transactions, for which I am forever grateful. This whole attempted fraud on my account has been very stressful. I trust that the above information will assist readers if they were ever placed in a similar situation. I wish to thank FNB Fraud department most sincerely for their great assistance to ensure that no loss occurred, for which I am greatly appreciated. In respect of my other article, I have provided extracts from a newsletter provided by Standard Bank to assist their clients on the dangers of Phishing.